Take us back to the 90s and early 2000s, back when life and music were much simpler. So, the idea of time travel might still be too far away to actually achieve this, but for now, we're happy to settle with Throwback Thursdays, a pretty close alternative. It is on this special day each week that we get to relive our favorite moments, dig up old photos and bask in all things that produce blissful nostalgia. Our favorite of all these is to cycle through performances that have a way of standing the test of time. And what better throwback embodies the 90s and 2000s than a hip-hop and alternative themed mashup that will no doubt give you all the feels. 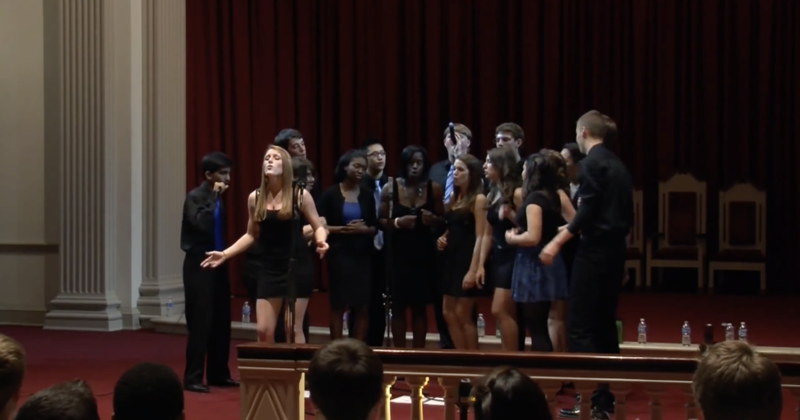 We have the 2011 incarnation of PandemoniUM from the University of Maryland to thank for this with their exceptional arranging and delivery of their "Chasing Cars/I'll Be Missing You" mashup. Who would have ever thought that Snow Patrol and Puff Daddy (as he was formerly known) would make such an auspicious pairing? We didn't, that's for sure. Thankfully PandemoniUM was willing to bring this captivating song to life. What's evident off the cuff is the contrast between the two leads, whose voices are right in the pocket. The male lead of "Chasing Cars" is soft and ladened with sentiment, while the female lead of "I'll Be Missing You" is powerful and robust. Place these on top of an arrangement that's extremely active and controlled, with a bitter tone and it's nearly impossible not to connect with everything that's being conveyed. Enjoy this #TBT that's sure to leave you reaching for a tissue.